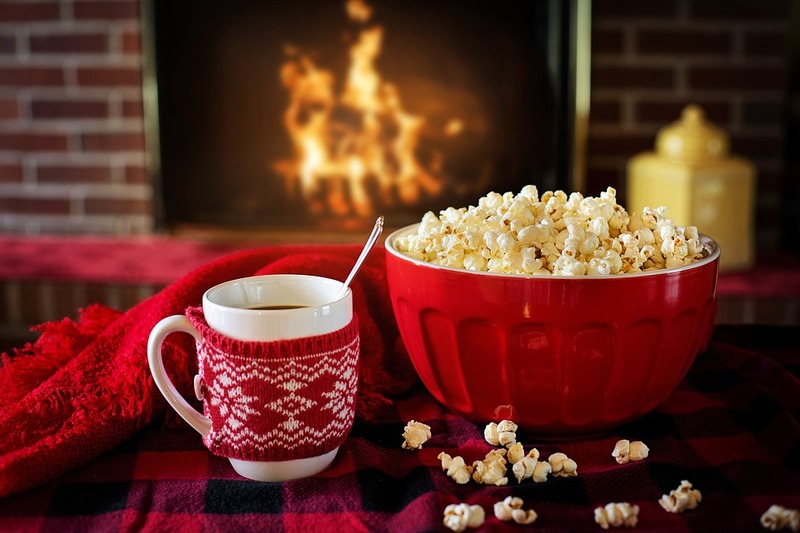 7 Ways To Stay Warm And Cosy For The Rest Of Winter. Over the last few days, we have had some lovely sunshine in the daytime, but it is still so cold out there! How many weeks of Winter is left!? 6 ish? Today I am sharing 7 Ways To Stay Warm And Cosy for the rest of Winter. A yummy hot chocolate. A few cups of coffee or cappuccino. Warm drinks are one of my essentials in the colder months. Hug in a mug and all that jazz. Layering up lots of your lighter weight clothes and warm, cosy & fluffy socks. Why not wear some legging over warm tights tucked them all away into your boots. 3.) Go For A Run.  Now, this is a hard one at first. It is nice and warm inside and so; so cold outside. The trick is not to think about the weather too much. Get changed as quickly as you can. Pop your running clothes on, a waterproof running jacket, hat and gloves. Have a little stretch or dance around in the house so you start to feel warm. Go outside and lock the door; so there is no turning back and go for a little jog. Pick up the pace if you are cold. It will be cold at first but you will soon warm up. Then you will come home with a nice warm glow on your face when you step back inside. Wear jumpers topped with fluffy, cosy or warm jackets and a nice hat and gloves too when going outside. Wrapping up warm whenever and wherever you go. You can easily get a chill or fever without them. I should know, it happened to me when I forgot to wear my hat and gloves. I like to wrap up cosy and warm when I am going for a nice long walk with Mollie the collie. At first, I think oh no not walkies again, it’s too cold. Once I am out on a brisk walk I start to feel nice and warm. Getting out makes you feel loads better too. I also think of the greatest ideas when walking too. Pity I don’t write them down as they are forgotten about when I get home!! ♯ Have a dance around the kitchen when no one is looking. Having your favourite tunes in when you are making dinner really does pop a smile on your face too! Hoovering up always warms me up. I usually have to take a layer or 2 off when hoovering the stairs. Moving furniture around in a room can even make you sweat. A kitchen table, a sofa or a bed. It is amazing what a change around can look like too. A dressing gown is a perfect item of clothing to warm you up for 10 minutes at any time of day. Mine is like an oversized blanket that I can wrap around me and keep me warm and snuggly. Not just for night time!? You can simply wrap it around you when no one is home when you are feeling chilly and the heating is off. Plus no one can see you wearing it. Simple and quick to remove it if the postman is at the door too! Not sure it is a good idea to be seen outside in it though, like the woman I saw last week at lunchtime! The neighbours might start talking!! Hope you enjoyed my 7 Ways To Stay Warm And Cosy For The Rest Of Winter post? How do you stay warm and cosy? Let us know in the comments below so we can all share our ideas. "How To Make Warm Sweet Chilli Chicken Salad with Onion Oatmeal"
"Coffee Shop Treat: Weekend Blog Hop"
Oh that's funny! I listen to music and dance around to keep myself warm sometimes. I'm also hoping to burn off some of those extra calories of course! Your list is the kind of things I usually do. My husband was laughing at me the other night, because I wrapped myself up in the fur throw from the sofa and went to get a drink from the kitchen. It made sense to me. Will be nice when Spring starts to make an appearance. You'll need to surgically remove me from my dressing gown by the time that winter is through! I'm never out of it! I love scarves and throw them on over everything in the winter! Wow it is painfully cold today. Really struggling to stay warm. Lovely post. A nice hot bath, snuggly pyjamas and a cup of tea. Oh and my electric blanket in bed is a godsend! We really need these tips after today's insanely cold weather. My dressing gown is literally my best friend at the moment I keep it right by my bed for an instant extra layer the minute I get up.